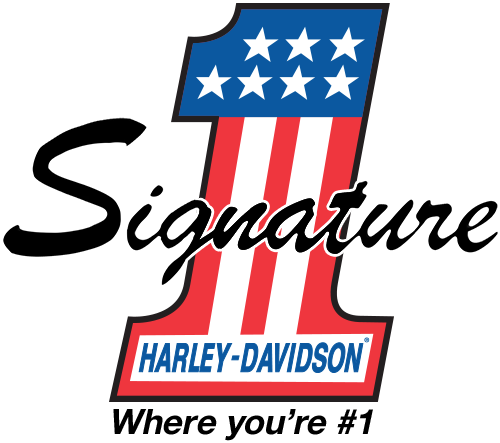 Signature Harley-Davidson® proudly supports many local events and charities. We strive to grow the motorcycle community and place an emphasis on charities that benefit children, events supporting active duty military personnel and veterans as well as other causes related to our industry. It is the policy of Signature Harley-Davidson to review and give fair consideration to all requests for donations, sponsorships and motorcycle raffles from local community organizations and charities. All organizations will be entered into our system for future involvement. Past participation will be considered in the decision process. Due to the number of requests received, it is imperative that ample time for review and consideration be provided. During peak seasons, requests may take up to 60 days for a response. Please understand that we are honored by the fact that so many people would like us to be involved and although we strive to help as many individuals and groups as possible, we simply do not have the resources to approve all requests. 1. All requests must be submitted on Signature Harley-Davidson's Donation Request Form. Providing supporting documentation such as event/organization details is encouraged and can be dropped off at the store or scanned and emailed to: toledohdmarketing@gmail.com. Understanding the organization, history, goals and event details ensures proper consideration and enables us to decide on the appropriate level of involvement. 2. The Marketing Department will review requests monthly, determine the course of action and notify the outside party via letter, email or by phone. 3. Approval of requests within the community will be provided based upon budgetary allotments and working relationships with the organization, with priority given to the local community. 4. Any merchandise provided is considered a donation and cannot be returned or exchanged for other items. 5. Donations can only be picked up by original contact or an authorized person whose name must be provided to the dealership.